Carwow is at it again. The UK-based car site loves to drag race and we’ll give credit where credit is due; they get some seriously quick machines lined up for straight-line sprints. The latest adventure is a full-on luxury saloon showdown where 625 bhp is the least powerful machine in the group. Oh, what great times we live in. There’s a bit more to it than just power, however. This four-way race can also be construed as a contest between the past, present, and future in terms of powertrain choices. Representing the past are German rivals Mercedes-Benz and BMW, namely the Mercedes-AMG GT 63 S 4-Door and the BMW M5 Competition. 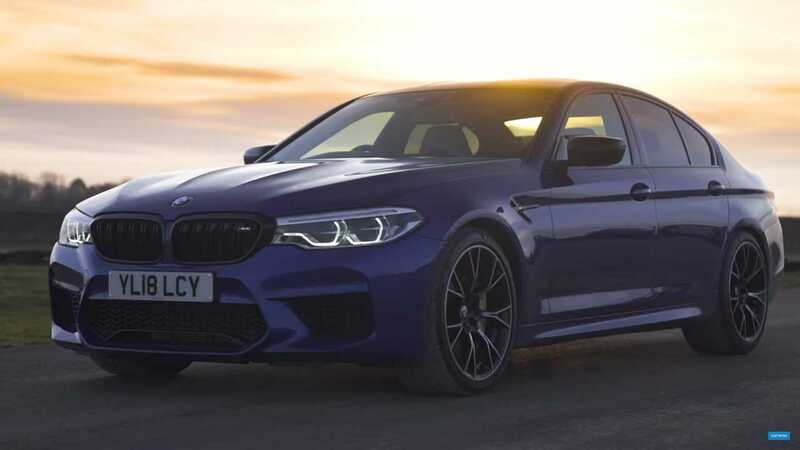 The Merc brings 640 bhp to the line with its 4.0-litre twin-turbo V8, while the M5 brings up the rear with just 625 bhp from its boosted 4.4-litre V8. If pure petrol power is the past, the present must be a hybrid and that role is filled by the Porsche Panamera Turbo S E-Hybrid. Like its German competitors, the Porsche delivers a twin-turbo V8 but it’s only rated to 550 bhp. An electric motor supplies the rest of the juice, giving the Panamera a whopping 680 bhp to all four wheels. With a weight of over 2.5 tons, however, it’s not exactly light on its toes. The future is naturally an all-electric Tesla Model S P100D with its dual motors pumping out an insane amount of power to all four wheels. Horsepower is a harder to quantify on a purely electric vehicle, but Carwow lists the Tesla with 680 bhp, matching the Porsche. It’s also a heavyweight at just under 2,268 kilograms, but it’s still a bit lighter than the Panamera. By now, everybody has seen just how quick the Tesla is in a straight line with Ludicrous mode engaged. You can probably guess the Mercedes and BMW are the underdogs here, with the only real competition to the P100D being the Panamera. The video, however, has something of a surprise in store so sit back, hit play, and enjoy this epic four-door straight-line sprint.